The urge to garden in early spring is primal. Re-connecting with the earth is affirming, renewing, promising. Waking up the garden to a new growing season is about more than soil and seedlings…this rite of spring is a tonic to the gardener as well. Whether your garden consists of a few terracotta pots or an entire acre or more you can get your soil in prime condition for spring planting by performing routine tasks such as weed removal, composting, and planting a cover crop to improve soil fertility and reduce unwanted plants. Learning what to plant in a garden with vegetables, and how to tend them for the best harvest, is probably easier than you think. 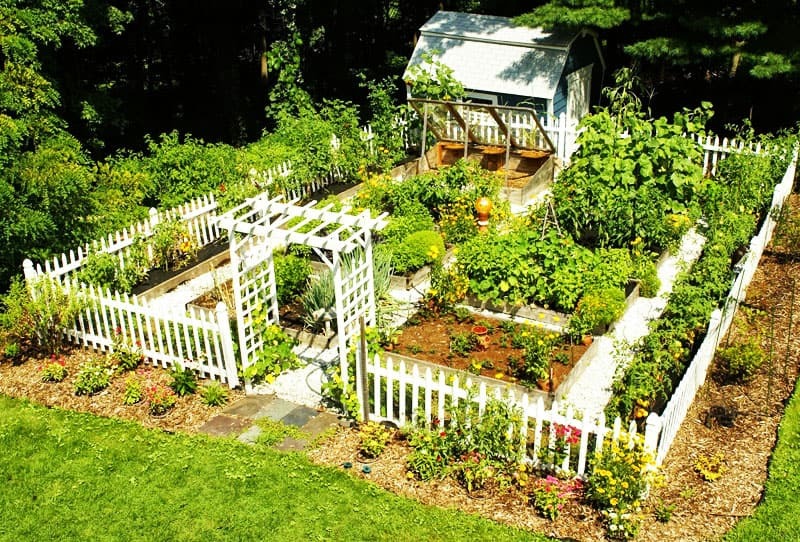 If you plan it right, you can enjoy a beautiful garden full of the fruits of your labor — without having to spend hours and hours tending it. Planting a garden that includes vegetables and flowers means you’ve combined natural companions, and that can turn a potential eyesore into an attractive landscape feature. Read on for more! A few early preparations for the spring gardening season will bring benefits all year long. Taking time in spring to build fertility and loosen soil will set you up for a more productive year. First, a few weeks before you plan to plant, work in any cover crops and then blanket your garden bed with at least a half-inch layer of good compost — a full inch would be even better. The compost will provide the soil with a fresh infusion of nutrient-rich organic matter, and improve the soil’s ability to handle water and nourish your crops. Quality bagged compost can be pricey at garden centers. Second, focus on cultivating your soil. Pounding rain, gravity and other forces can cause soil to become compacted over time, so loosening it before planting should be a priority. If you plan to plant in a young bed that you need to cultivate in order to remove rocks or roots, use a shovel or digging fork to turn the soil when it’s dry and crumbly (never when it’s wet and clumpy, or you’ll be stuck with big, brick-like clods). In established beds, you can use a broadfork to break up the soil. This will prime your garden soil for planting by helping it dry out and warm up, and permit roots to penetrate the soil more easily. Finally, apply an organic fertilizer to the degree that matches the needs of the crops you plan to plant. Light feeders with shallow roots, such as lettuce, will be fine with a small amount of organic fertilizer raked into the top few inches of soil. Planting a garden with vegetables also gives you the pleasure of savoring a delicious, sun-warmed tomato fresh from the garden. In almost every case, the flavor and texture of varieties you can grow far exceed the best grocery store produce. The secret for gardening success is being prepared. Before you start flinging soil like there’s no tomorrow, set out your vision for the season. What do you want to plant, and where should you plant it? 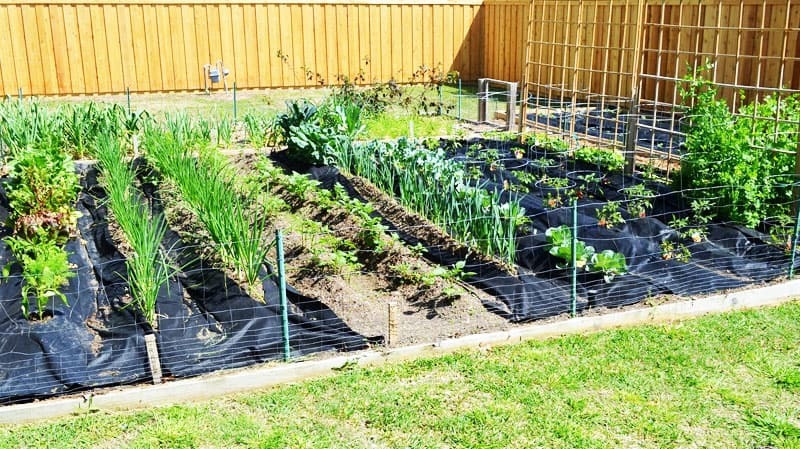 Do you want to start growing more vegetables? Write it all down so you don’t forget your goals as the summer passes. Winter weeds probably will be poking their heads up in your garden soil already, so pull them as soon as possible and move them far away. If you leave them too long, they will flower, produce seeds, and multiply. After you’ve waded through the weeds, add some fertilizer and mix it into the soil. All products labeled as “fertilizer” must be labeled with their content of the three major plant nutrients?—?nitrogen, phosphorous and potassium (N-P-K). Most organic fertilizers are bulkier than synthetic chemical products, so their N-P-K percentages are typically lower than synthetic products, and their application rates are higher. Did you remember to plant snow crocus last fall? If not, cut forsythia or magnolia branches to bring inside for forcing to get a dose of early spring color. Learn how to force branches into bloom. Prepping for spring gardening gives you the perfect excuse to hang out in the shop and get all your tools ready for the season. Use boiled linseed oil to treat and protect wood handles, and use a wire brush to clean any rust from the metal parts. Clean any tools that have moving parts by using turpentine and then denatured alcohol to get rid of the turpentine residue. Finally, use a file to sharpen any blades, and grease or oil any moving parts to keep them working their best. 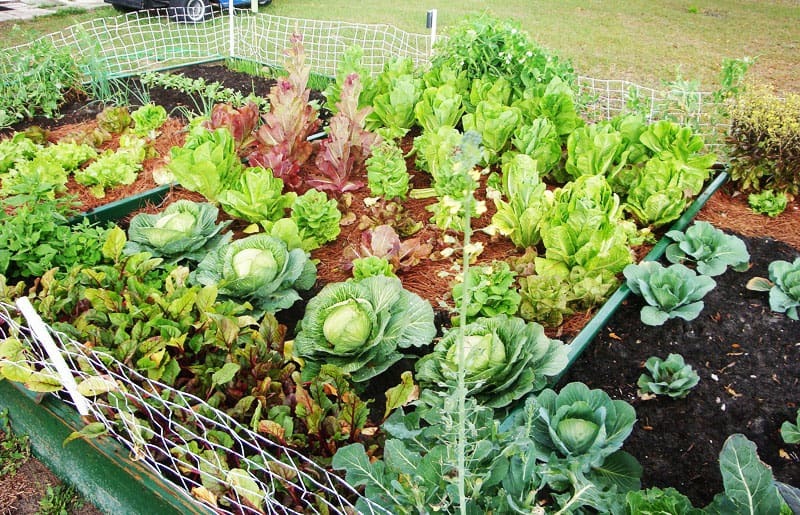 If you have a vegetable garden, it’s time to get those beds in shape and put your spring crops in. Foods such as spinach, leeks, onions, and parsley can be planted as soon as the frosts are over, which is usually by April in northern climates. If you’re new to vegetable gardening, here are some guidelines and tips to help you get started right. Sun. Choose a spot for your garden in full sun — that means at least 6 hours of direct sun in the middle of the day. 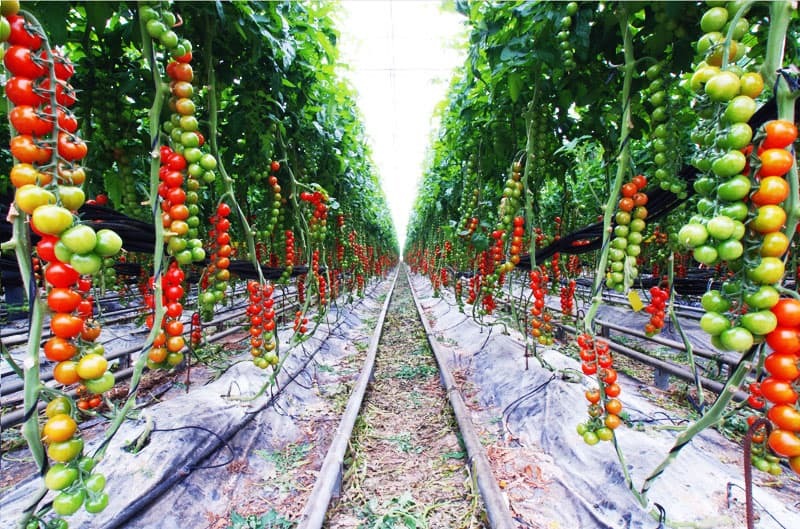 This is especially important for “fruiting” crops like tomatoes, peppers and squash. A few crops, like lettuce and spinach, will grow with just 3 or 4 hours of direct sun, but in general choose the sunniest spot possible for your garden. Soil. Next to sunshine, the most important factor in growing vegetables is healthy soil. Be sure the soil drains well (water doesn’t puddle after a rain). Most garden soils benefit from the addition of organic matter, especially compost. Organic matter improves drainage as well as water-holding capacity and provides some nutrients, too. Read more about soil preparation: Improving Garden Soil. Location. Choose a spot that’s as convenient as possible. 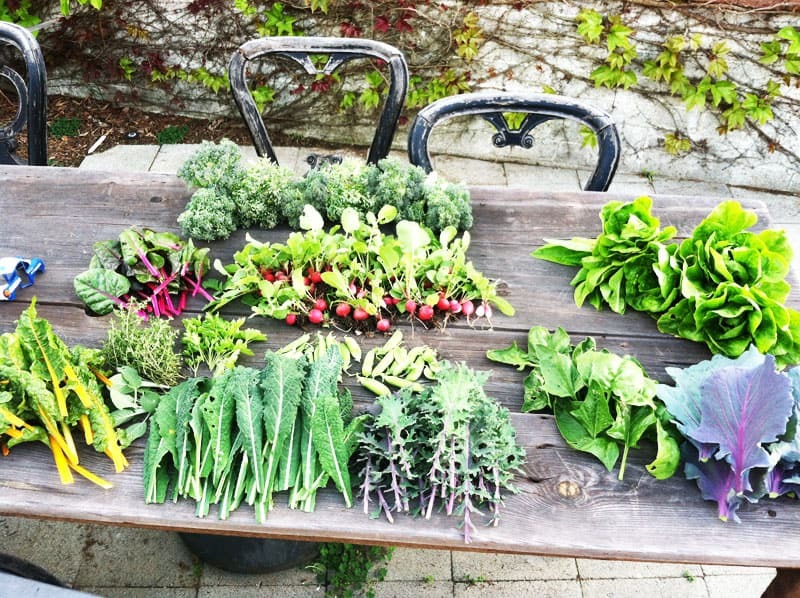 You’ll want to visit your garden daily to check progress and pull a weed or two. You’ll also need a water supply.